Welcome to Willinois; that area at the Wisconsin/Illinois border encompassing 10 miles in either direction (North or South). This land holds some of the most beautiful scenery - from the Chain-of-Lakes to the Illinois State Beach and even the Petrified Spring State Park near Kenosha, WI is included. Willinois brewing water comes from this park so it must be annexed! It is also home to a lot of Homebrewers. Yes! BEER!!! 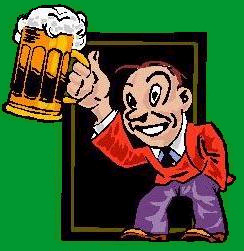 This page is for the beer lover and/or brewer. Recipes of good homebrew - ideas of making brewing equipment, or just about anything that you the brewing community want to discuss. I shouldn't promise too much as I have a full time job too. 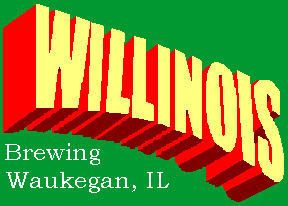 WILLINOIS Named from the combination of Wisconsin and Illinois. Also from the personalities of us who live here (will annoy). Thank you for visiting my site, and I hope you visit all pages attached here. I have had fun creating it. Please contact me if you have any problems, or wish to see anything else on this site. Please do not forget to sign the guestbook below. If things change, I will try to list it here. There's a lot of new stuff. Please look all around the pages.